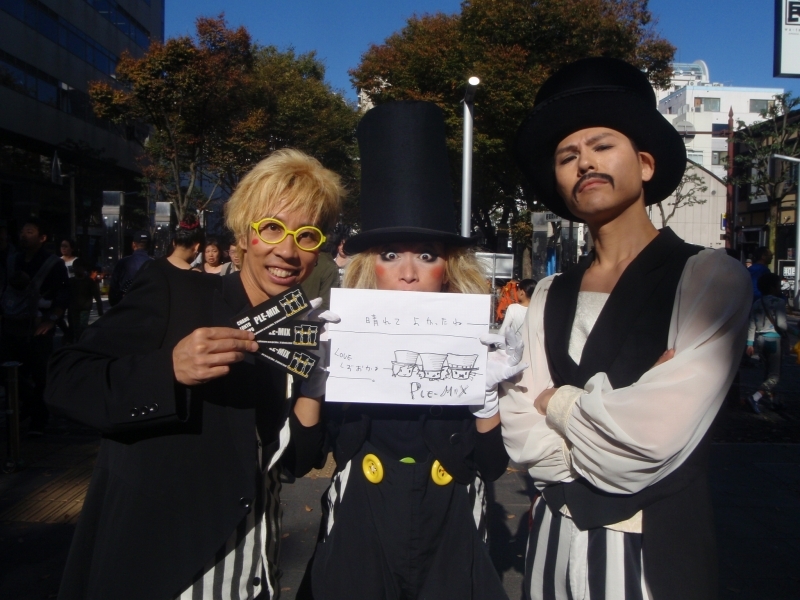 Chang, LONTO and TOPPO get together in the Pleasure B clown family, in Nagoya, Aichi prefecture. These 3 clowns are very characteristic. Audience imeadiately indivisuate the characters and expect what happens next. Especially Chang stand out for his character. LONTO and TOPPO warmly watch him. Chang acts as if an premier danseur and sometimes plays the flute. 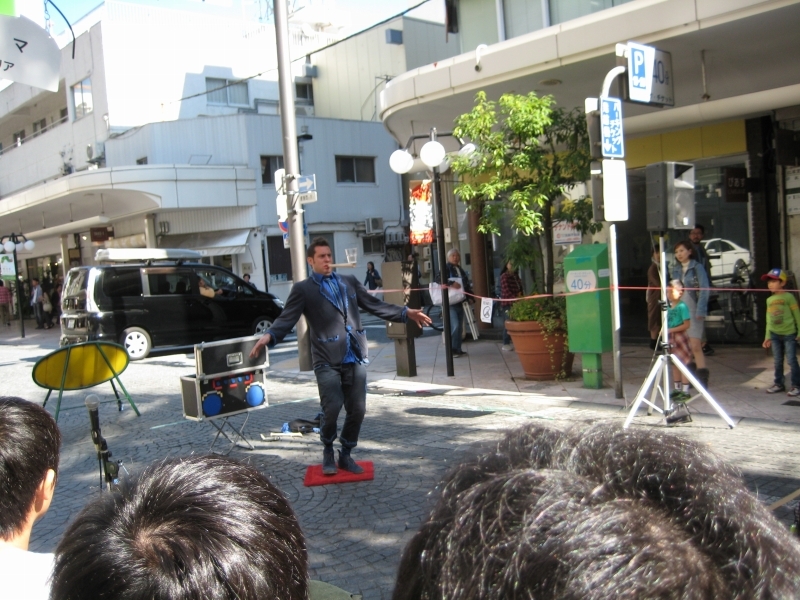 PLE-MIX has been performed in various contries. For them, eating is very important. They always enjoy various food during various festivals. 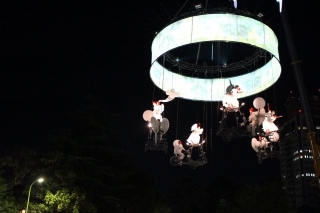 In this festival, their favorite food is "Shirokoro innards" in Sumpu castle park. We should find and try it! Everyone is happy with this sunny weater! 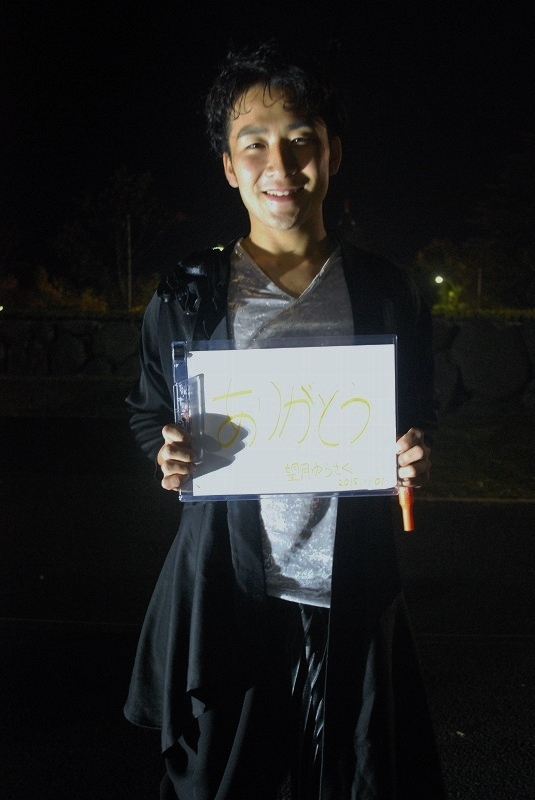 Utsushiomi is comparatively new team since 2013. This is their first time to perform in Shizuoka. 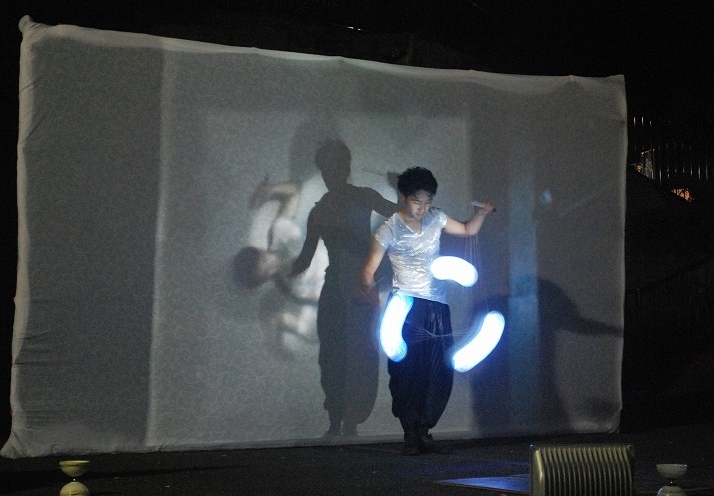 Utsushiomi consists of Yosuke Meguro, juggler, and Aimi Hasegawa, aerialist. The encounter of the two specialists provides such a unique and lovely performance. Their name is written in Hiragana, which makes Japanese feel softness. 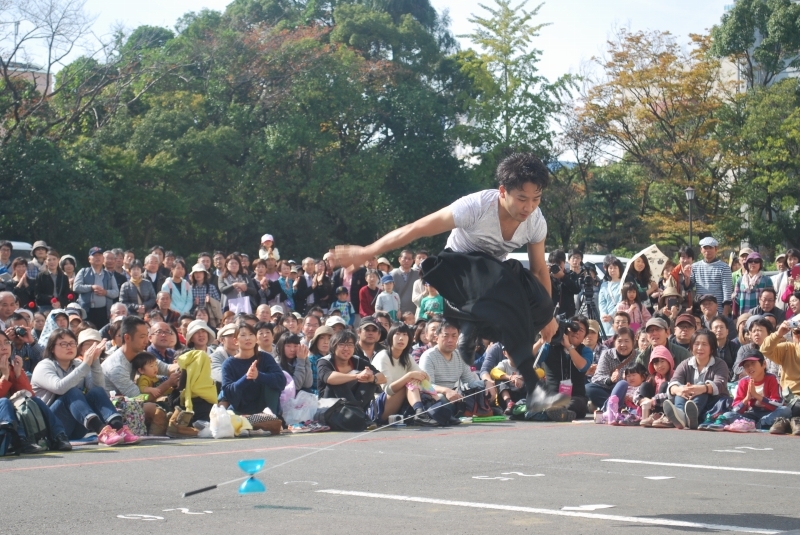 The atomosphere of their performance is also very soft, supple, and peaceful. It's impossible for me to give an explanation of them. 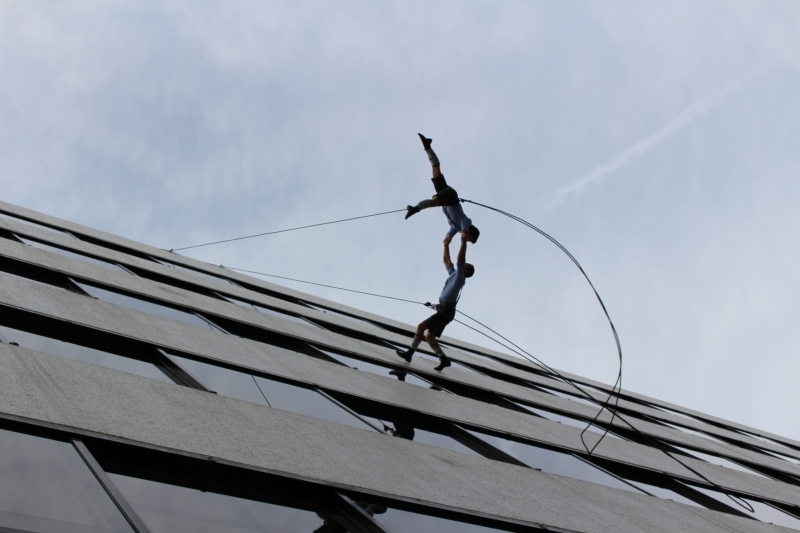 Find blue aerial silk, you can see Aurelie Dauphin, France. This is her first time to perform in Shizuoka. 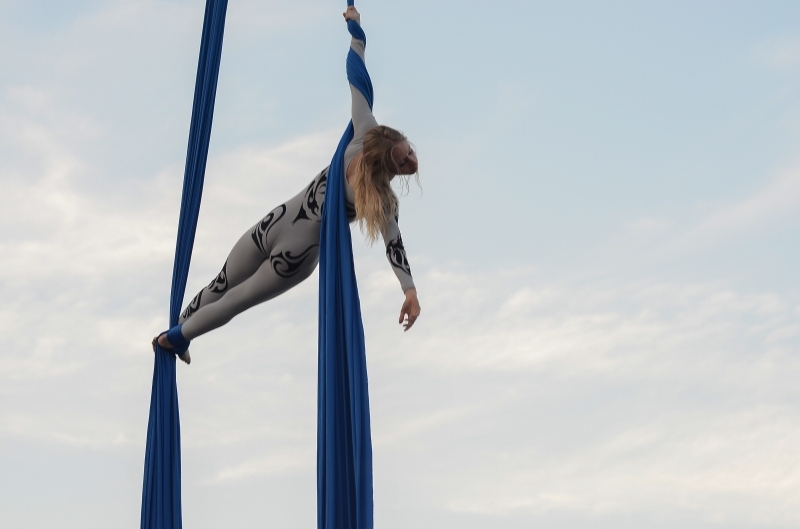 She is not just a solo aerial artist, but also a member of OVO, Cirque du Soleil. 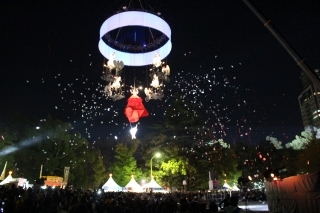 The combination of these various activities all over the world inspires her to create works of aerial art. "Dauphin" means dolphin in English. When we interviewed, she couldn't perform because of the rain. She gave a hearty message to everyone. Hello! 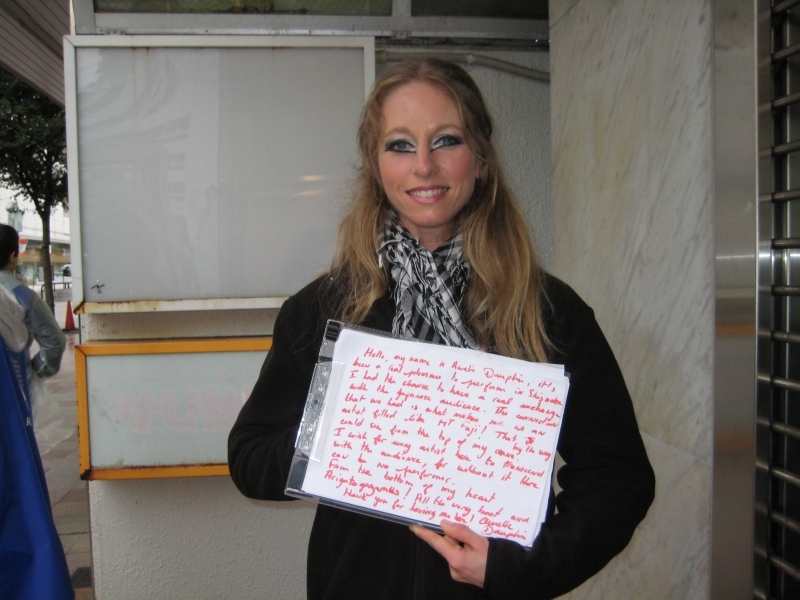 My name is Aurelie Dauphin, it's been a real pleasure to perform in Shizuoka. I had the chance to have a real exchange with the Japanese audience. The connection that we had is what makes me as an artist filled like Mt. Fuji. That, by the way, could seen from the top of my crane. I wish every artist here to transcend with the the audience, for without it here can be no performer. 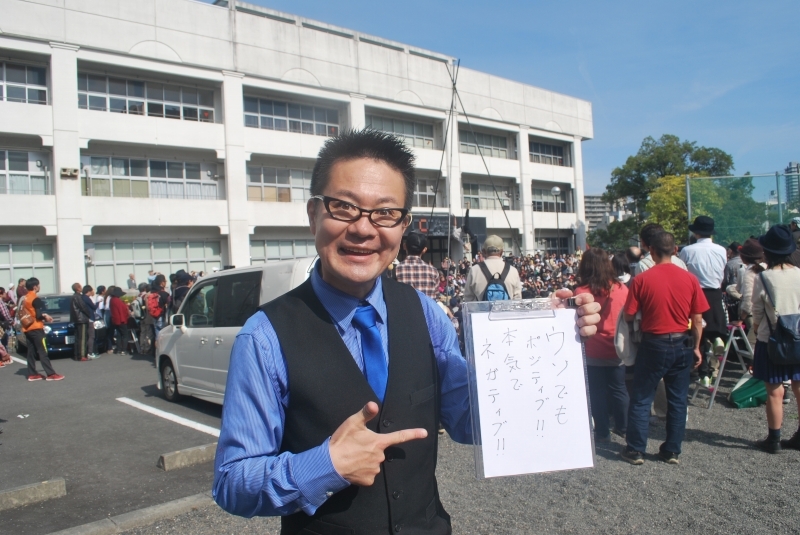 From the bottom of my heart Arigatogozaimasu! All the very best and thank you for hearing me here! What are you think about that? A couple is dancing but, they are completely defying the law of gravity. All the matters are controlled by the laws of nature, gravity. How a human can defy it? I give you another picture. They are dancing on the vertical wall! 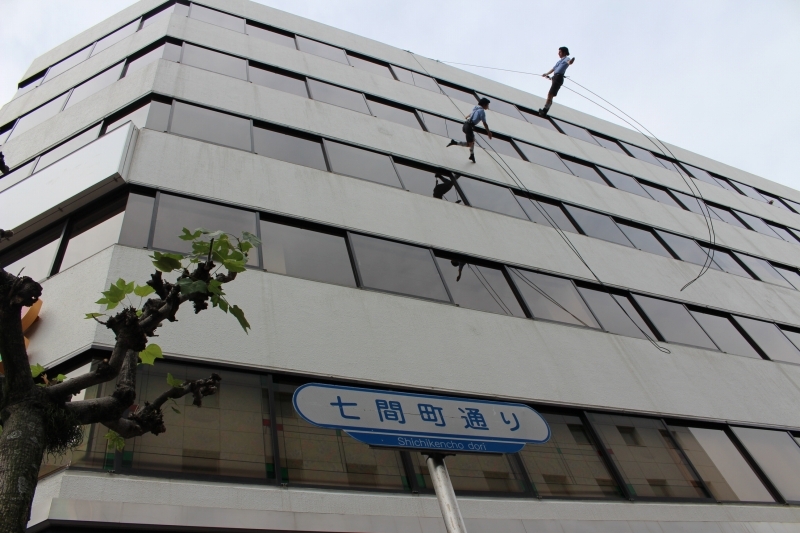 How daredevils are they! However, this vertical wall allows them to dance with a different dimension. 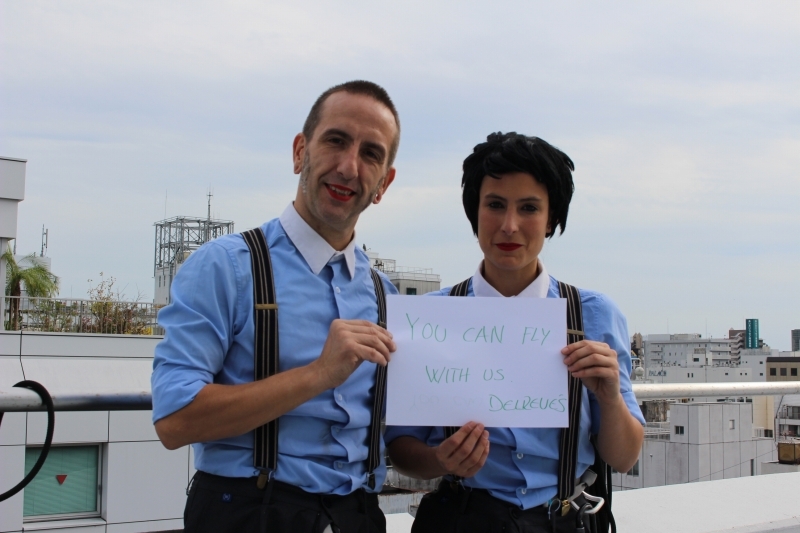 Delreves vertical dance company is a dancer duo from Barcelona. 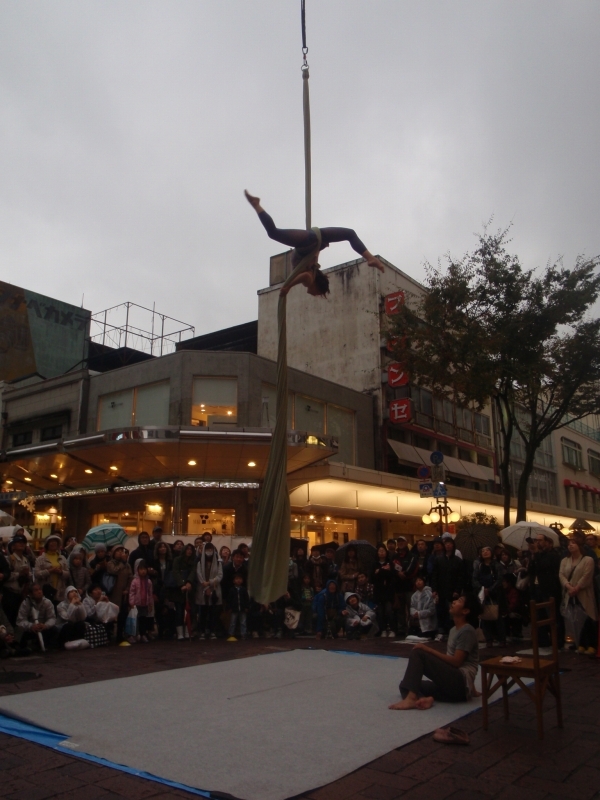 They come up with an idea of dancing on the vertical wall to find another kind of dance with mixture of architecture. I swear their dance is completely new and you have never seen such a dance before. After watching their dance your brain may confuse. A world on the wall is a real? Or a world on the ground is a real? This is there first time in Japan! You can't miss it!! You can fly with them! 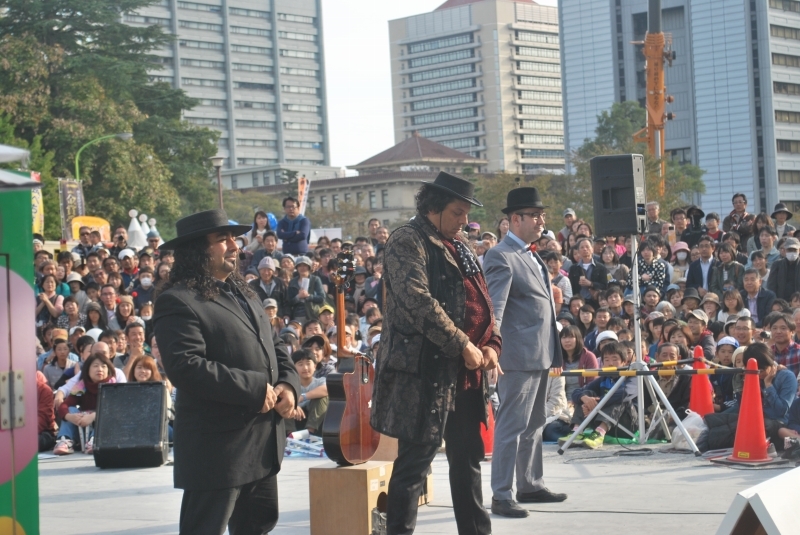 There were so much of the audiences in front of Shizuoka-station before their show begins. 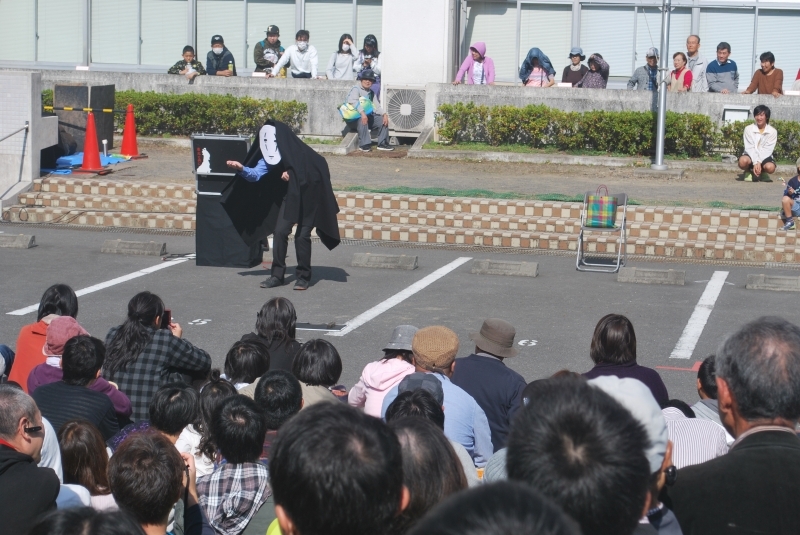 Kebo and Chris appeared with special black suitcases filled with various tools which evoke laugh. Everytime they show something, laughing occurs. We cannot get out from Funny Bones ! 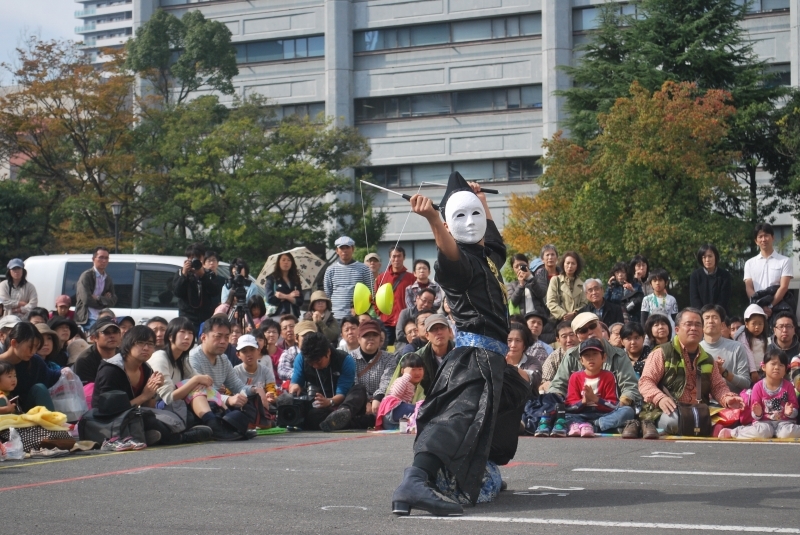 Their performances are not only about juggling, magic and puppet. Every small things around the stage makes laugh. 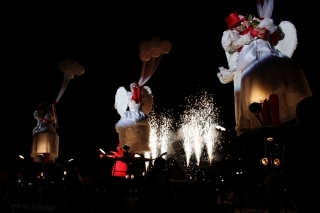 Their performances are mainly non verbal, so they can hold the show all over the world. Let's jump over border into their world! More fun than ever - Lost Locos! Ole! 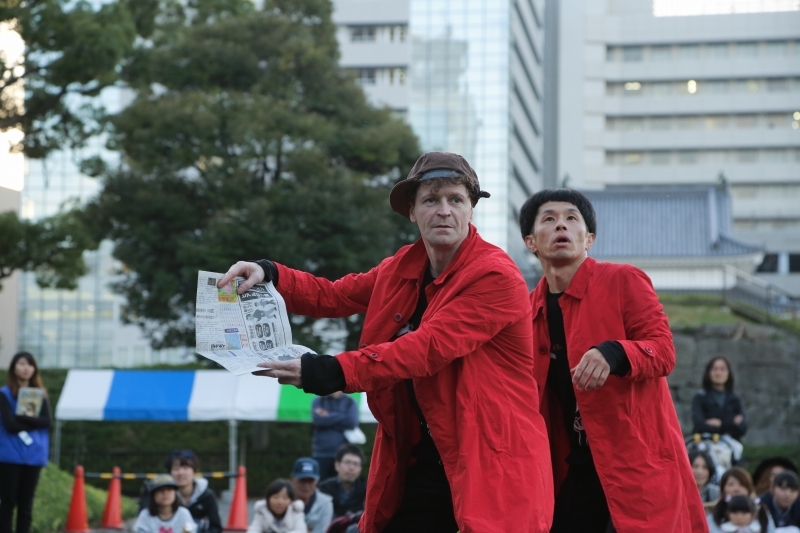 Attracting one of the biggest crowds at Daidogei World Cup in Shizuoka 2015 is Lost Locos! Ole! After taking out the Championship in 2014, this year they are back as Special Guests. 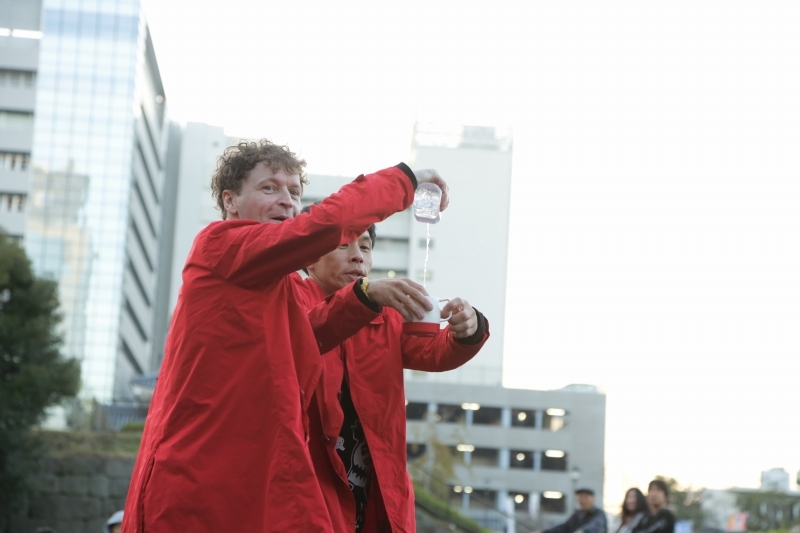 The trio present a unique musical comedy interspersed with incredible acts of juggling. The tension between the artists ebbs and flows as each presents their case as the best musician, as they fight to win the love of the crowd. But although they start out fighting separately, they always finish together in a beautiful musical symmetery. But one thing is for certain, as could be seen by the long lines to capture their autographs after the show, they have completely won over the crowd here in Shizuoka. 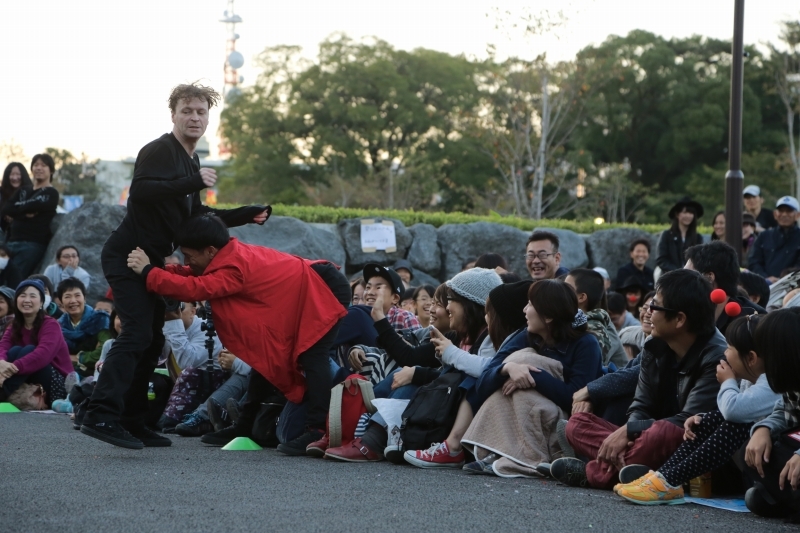 As an added note, despite the huge number of people that queued up to grab an autograph after the show, they chatted and took photographs with every single one, putting kids on their shoulders and hugging people and dancing with grandmas. Make sure you line up early if you want to watch their show.